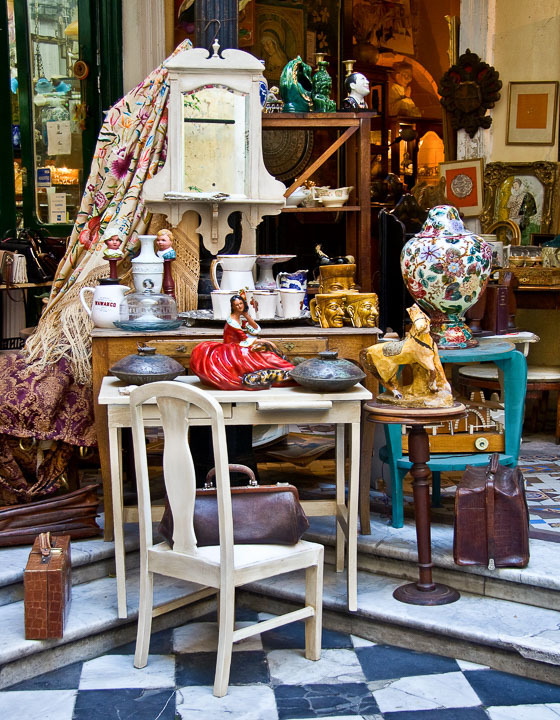 Many family treasures that had to be sold are found at the antique stores. 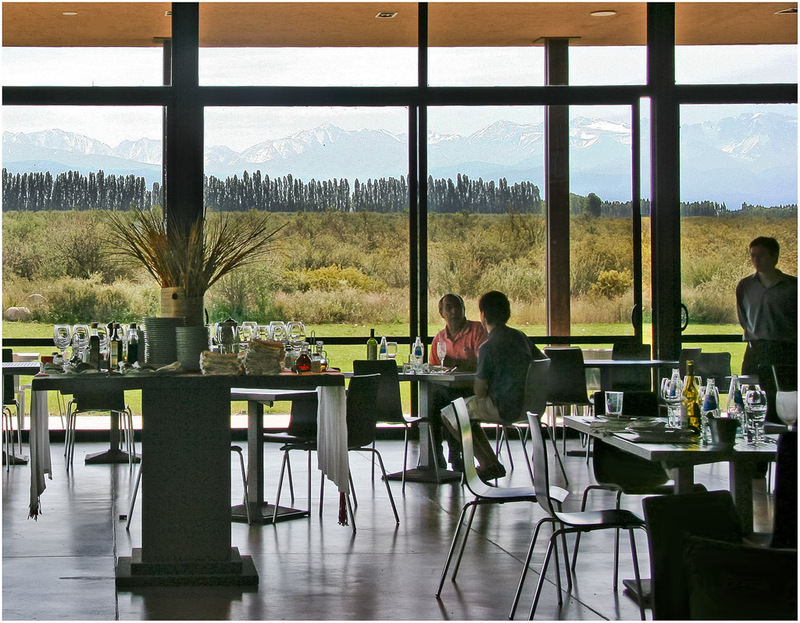 Mendosa's wineries offer fine food, drink and views of the Andes and the vineyards. 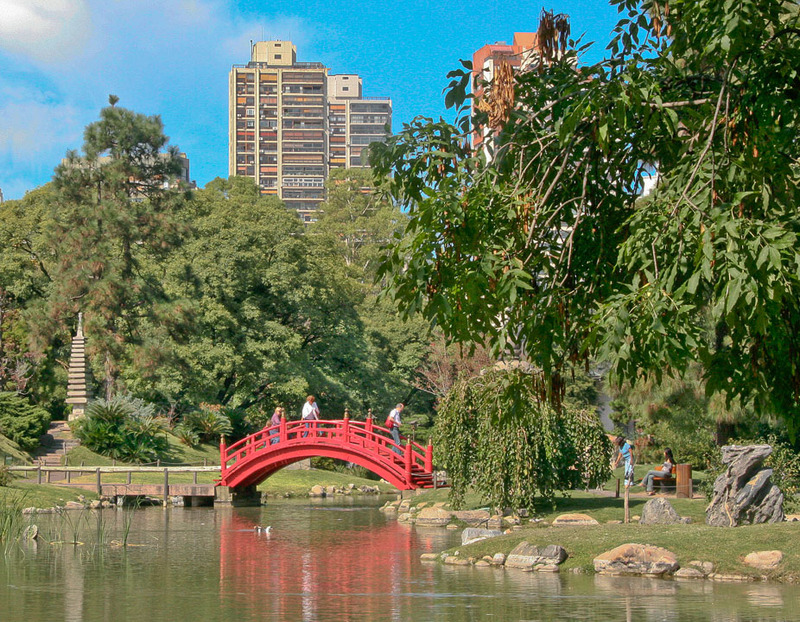 The beautiful Japanese garden comes complete with a tea house. 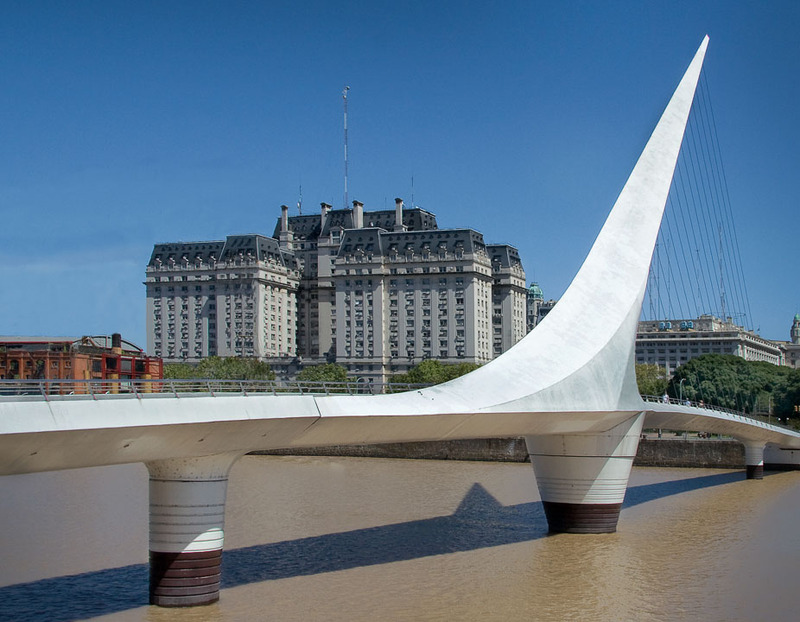 The old port of Buenos Aires has been modernized and combines both the old and the new. 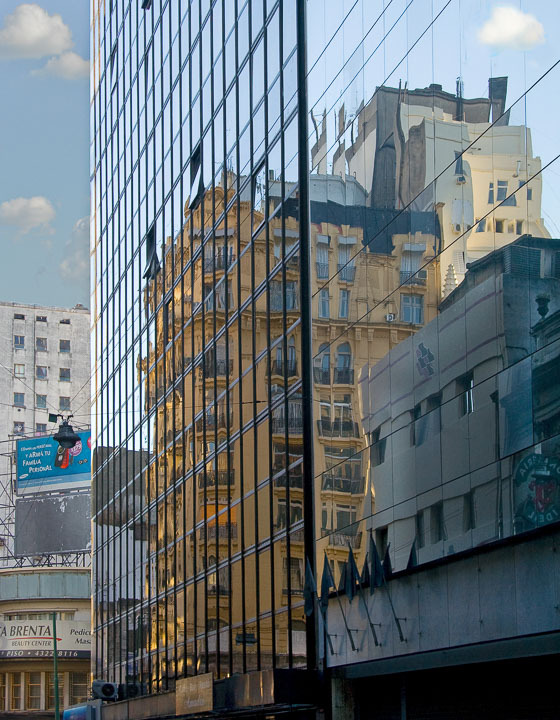 A reflection of old and new in the Buenos Aires business district. 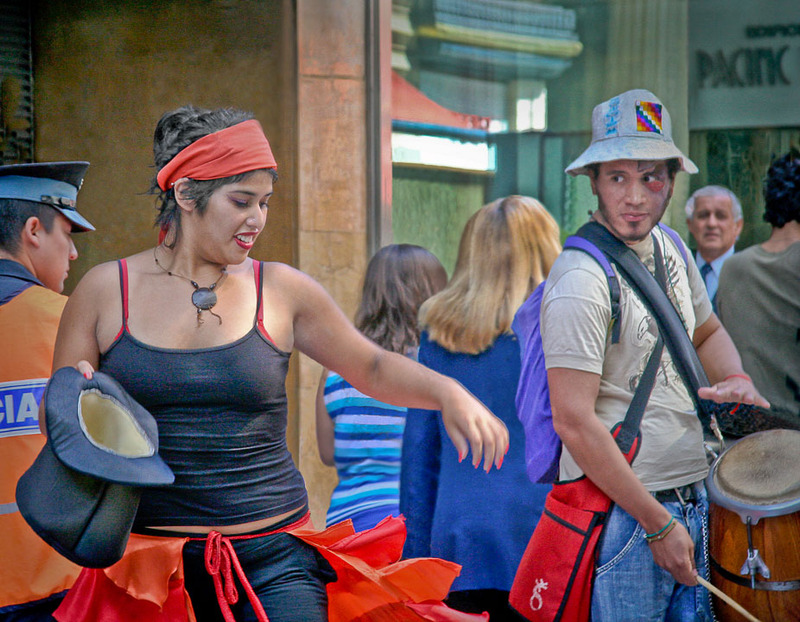 Musicians, dancers and other street performers are regulars on Florida Street. 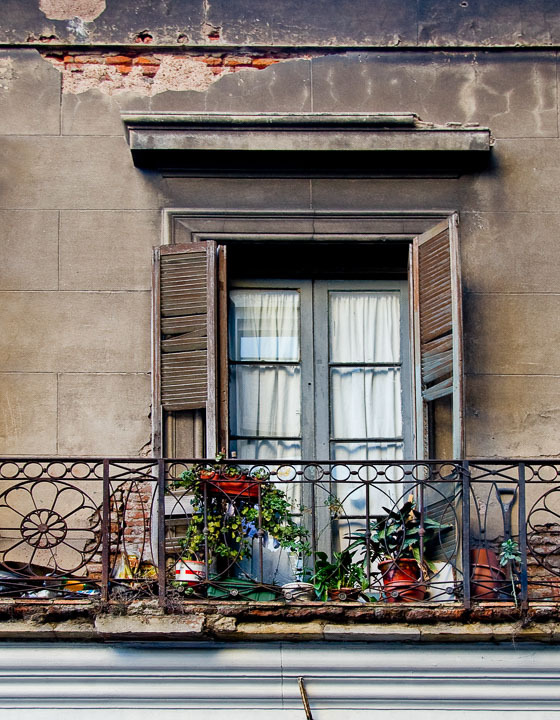 Buenos Aires is often described as the Paris of South America. 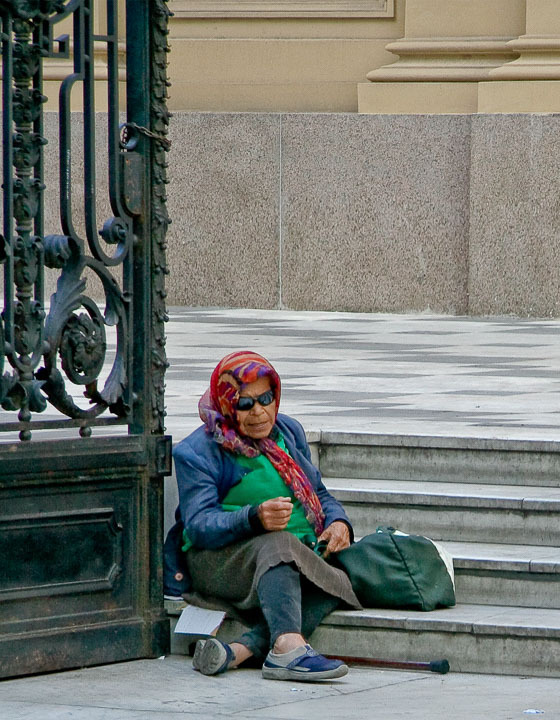 Like any big city, Buenos Aires has it's share of homeless and beggars. Argentina has it's own cuisine of street food for a quick meal. 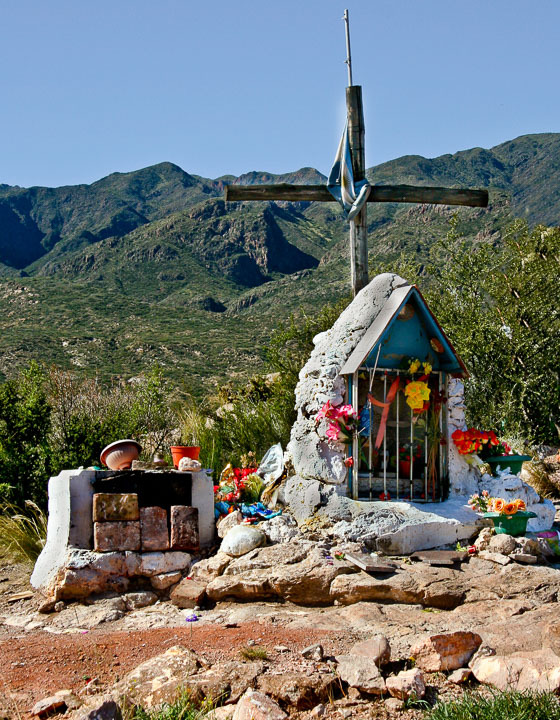 Memorials to those lost at the site of auto accidents exist where ever we have traveled. 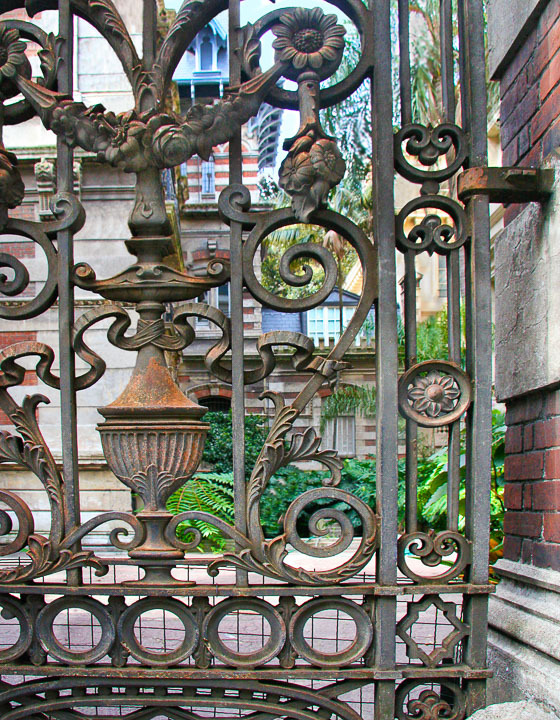 Wrought iron gates are one of many security measures that are used in Argentina. 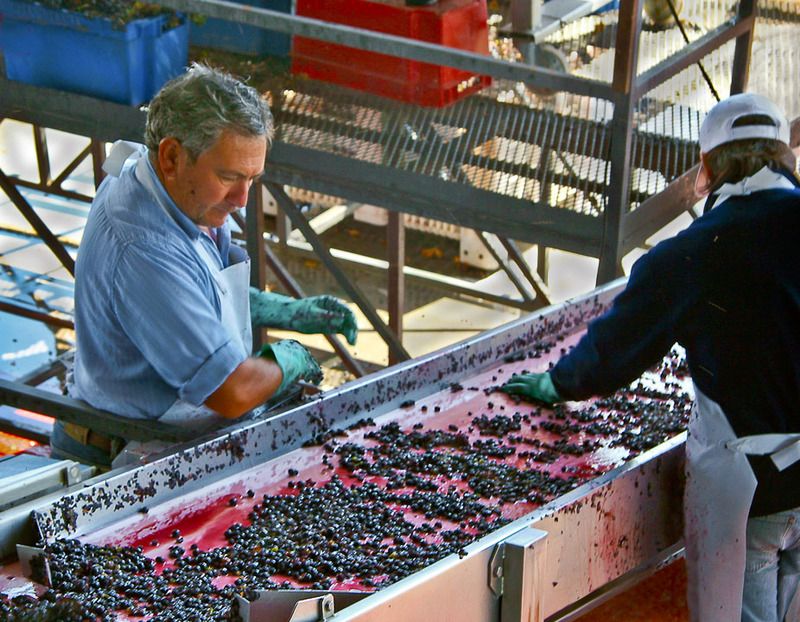 A conveyor belt at the very modern Founier winery in Mendosa. She's a professional dancer who came from California to study tango and it became her life's obession. 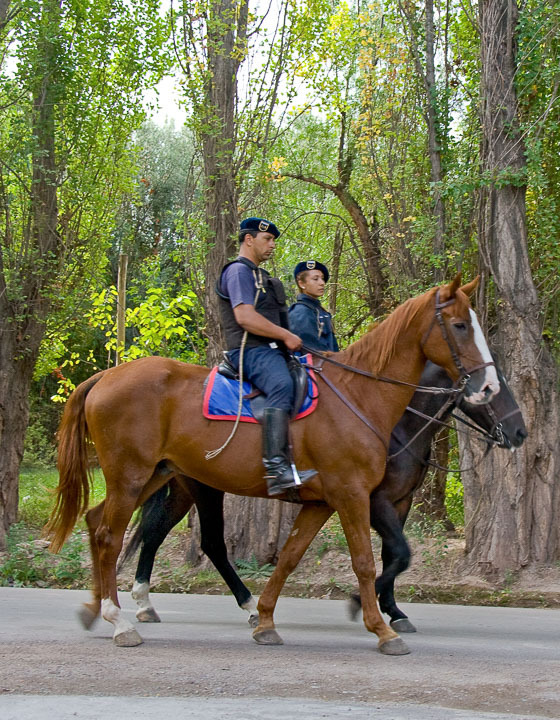 Police on horse back patrol the wealthier neighborhoods of Mendosa. 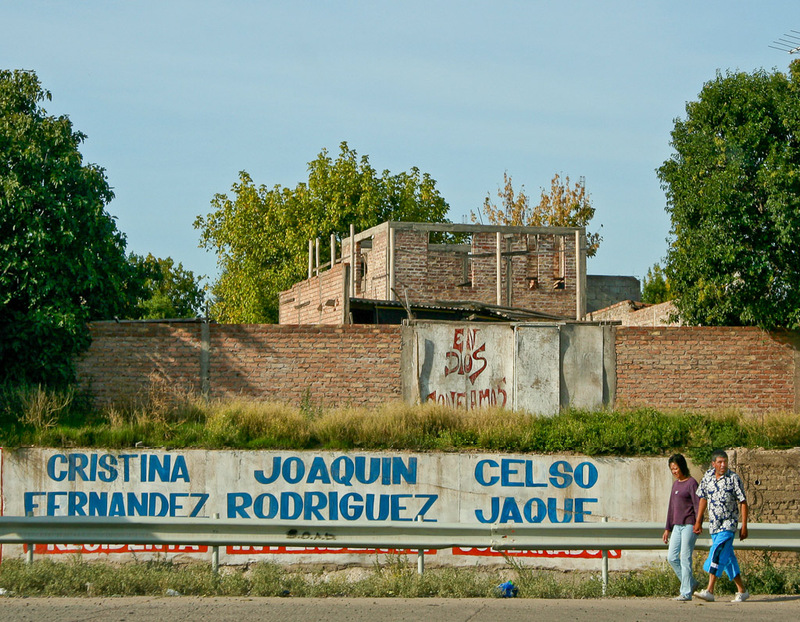 Political names of the day including Cristina Fernandez. Argentina's president. 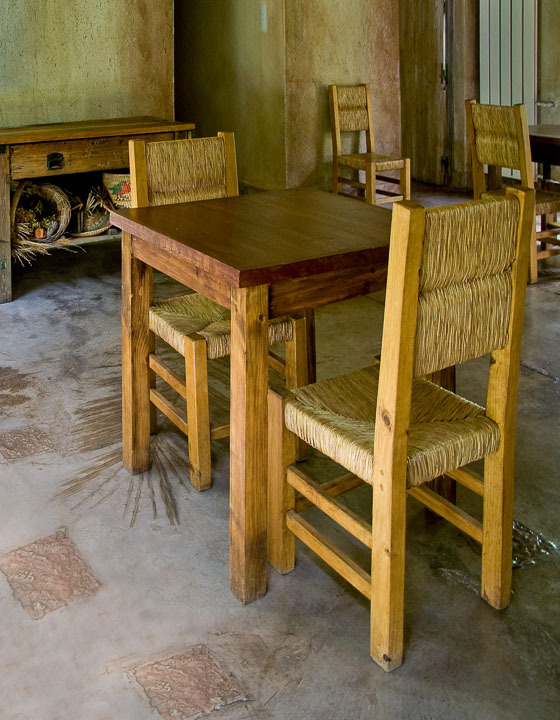 The rustic dining room at our lodging in Menosa's wine country. 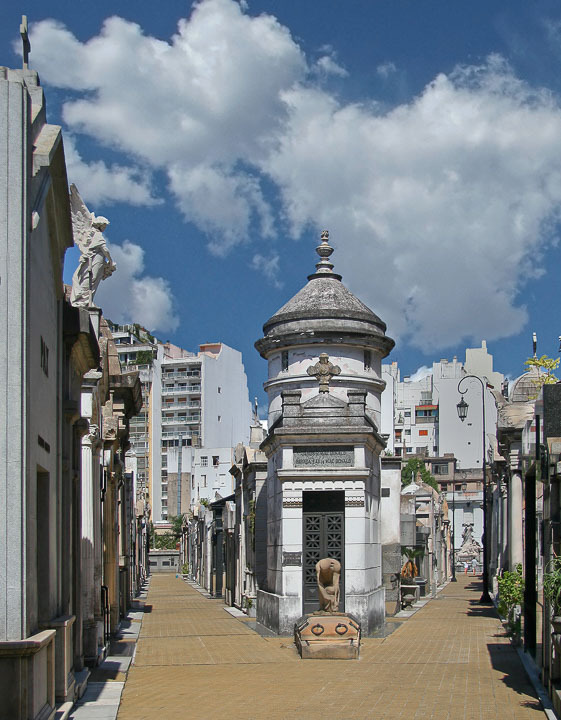 Most visiters come to Recoletta to see the tomb of Eva Peron. 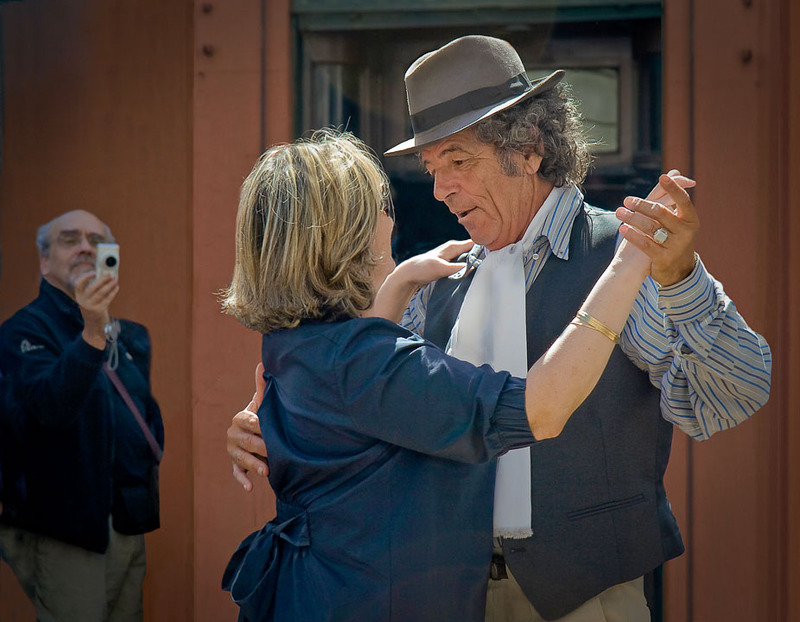 He makes his living by dancing the tango with Buenos Aires tourists. 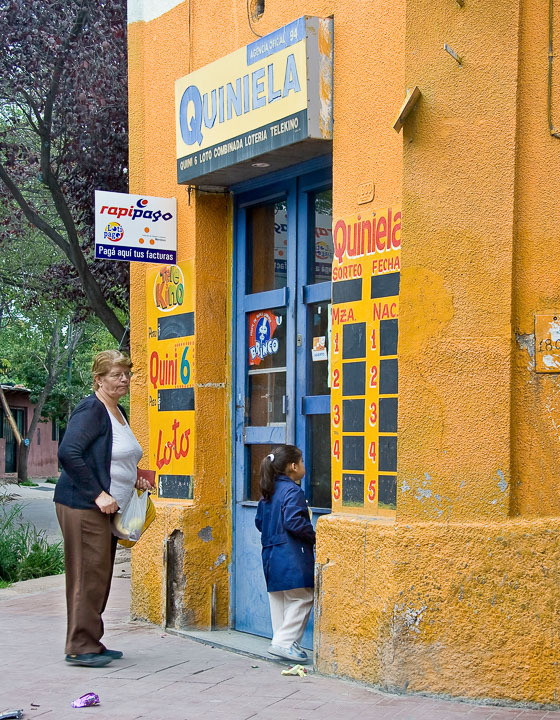 Rural Argentinos do most of their shopping in small bodegas like this one. 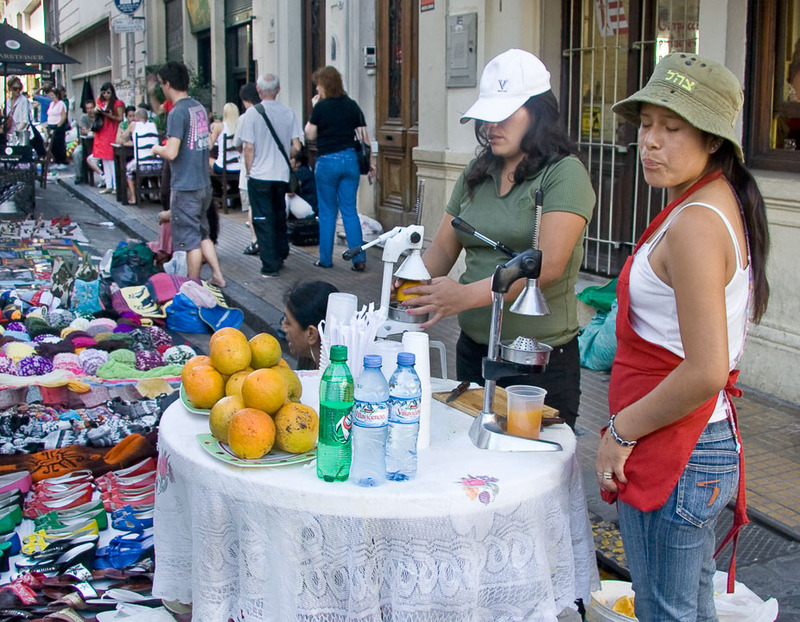 Fresh orange juice is a refreshing drink at the Sunday San Telmo market. 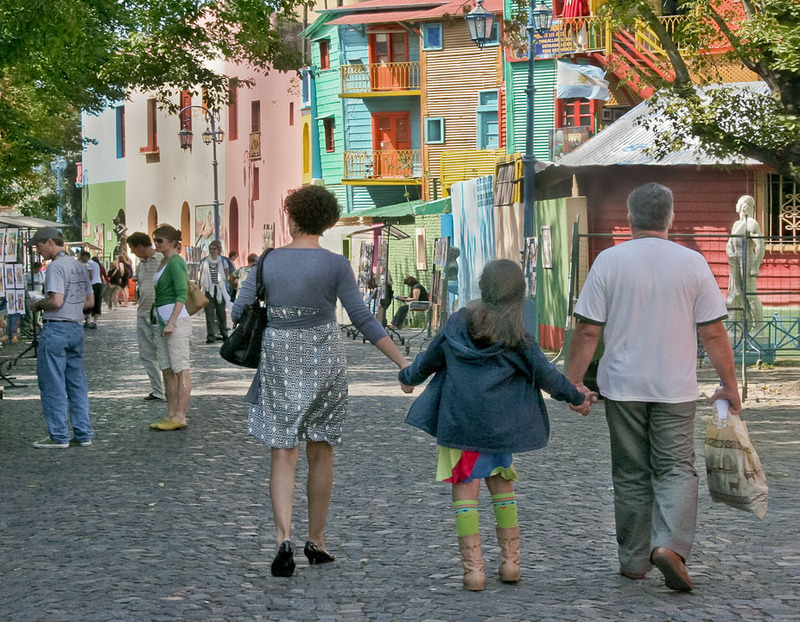 La Boca is one of Buenos Aires most colorful neighborhoods. These dancers perform for the diners in a popular Buenos Aires restaurant in La Boca. 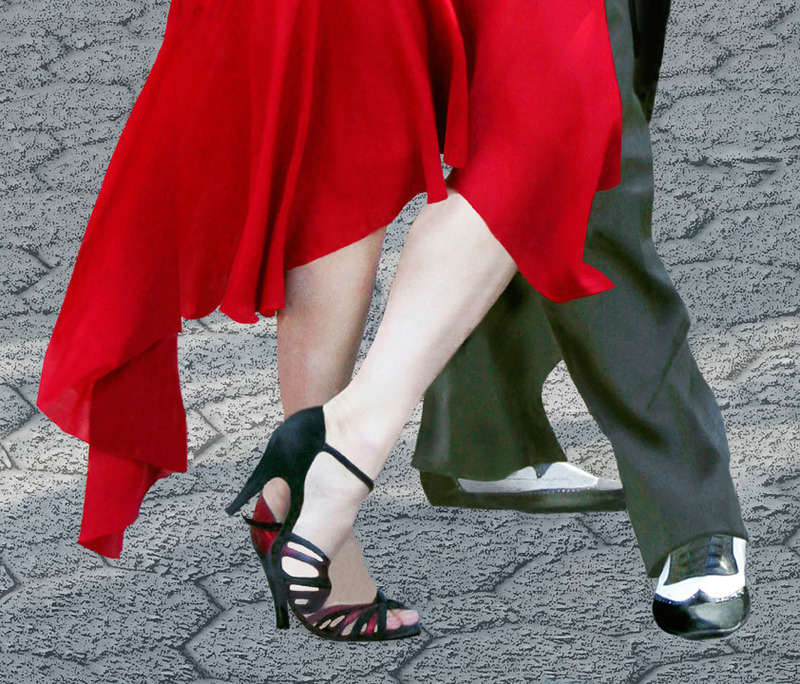 A close up of a tango step performed by Mirabel and Julio. 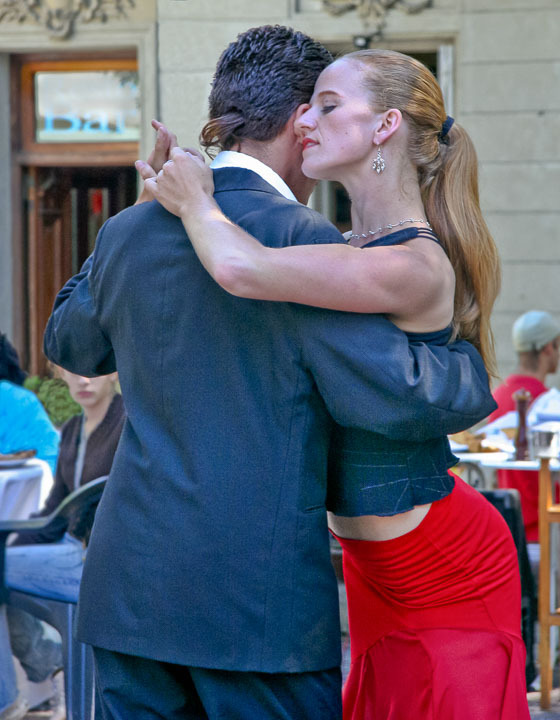 Tango dancers often seem to be transported to another world. 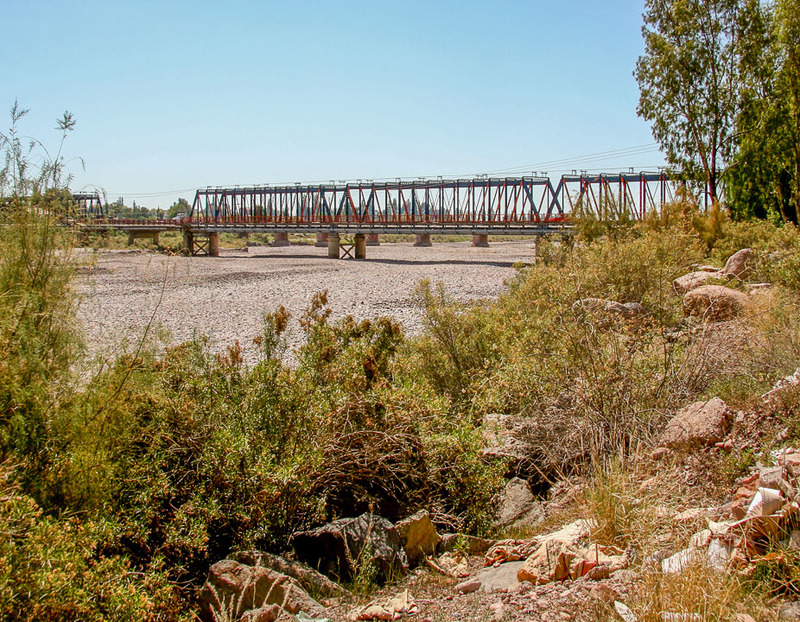 Stored water is frequently used to replenish the country's dried out river beds. 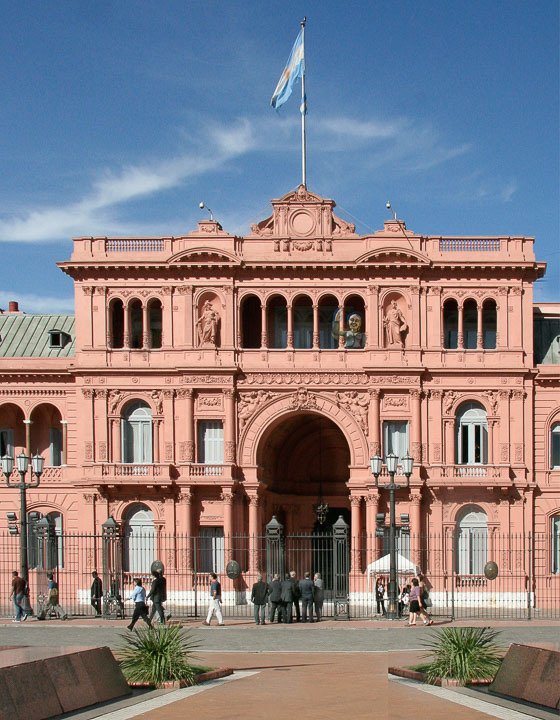 The president's official residence (with a ghost on the upper balcony). 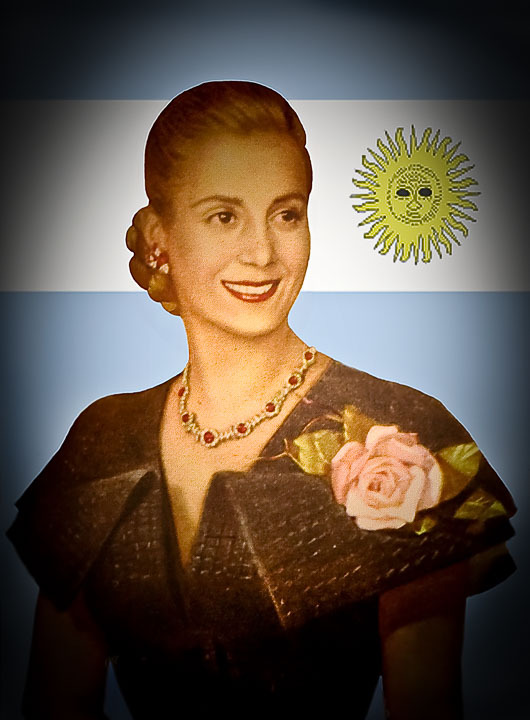 A takeoff of a portait seen in the Musee` Evita where it is clear that her cult s still lives. 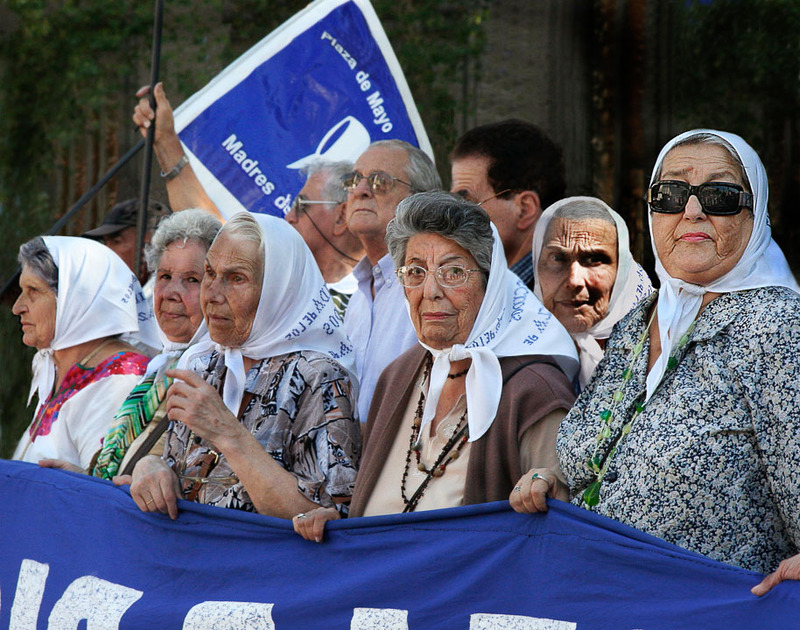 They've been marching every Thursday at the Plaza de Mayo for over 40 years. 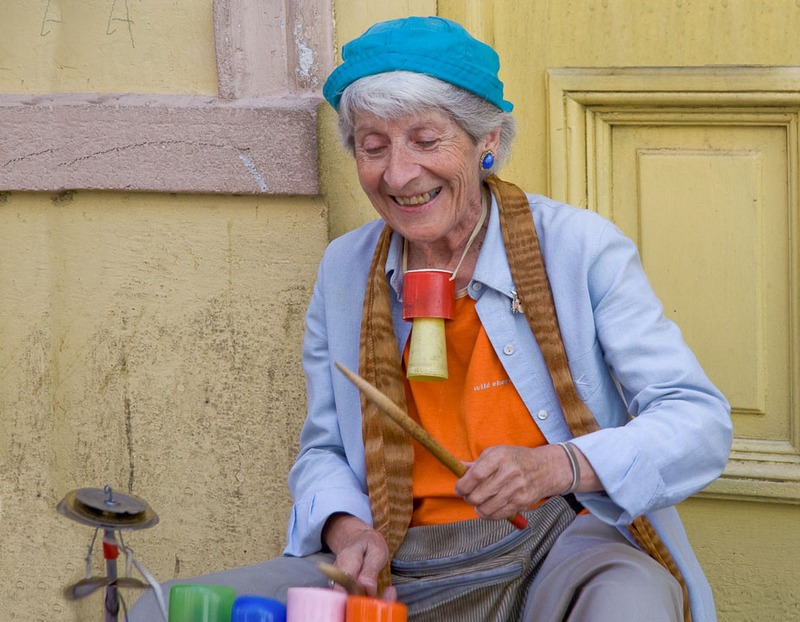 This senior street performer continues to find joy in her work. 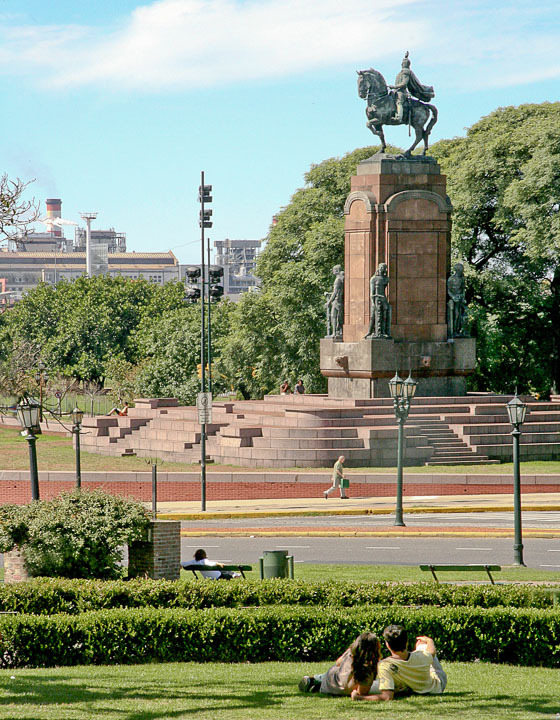 Like Paris, this city has many plazas dedicated to it's country's heros. 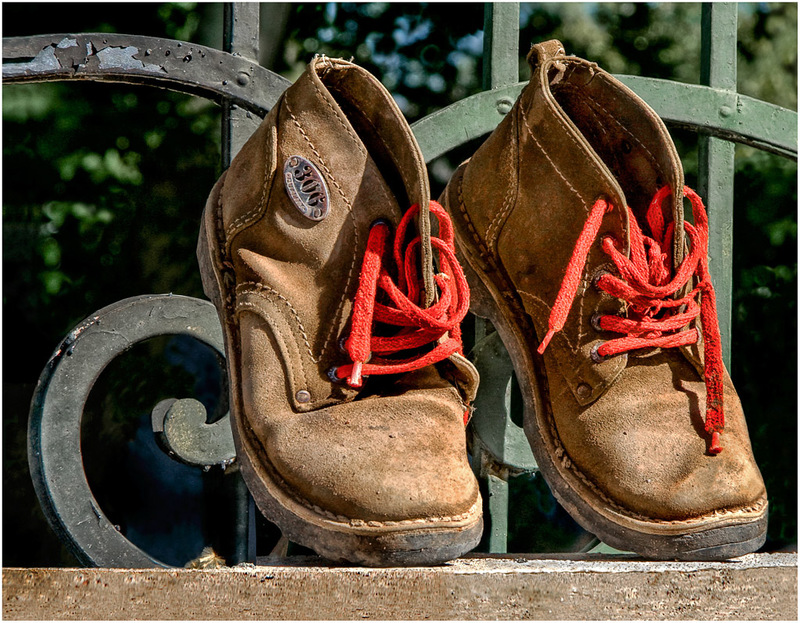 So where is the person who belongs to these workboots? 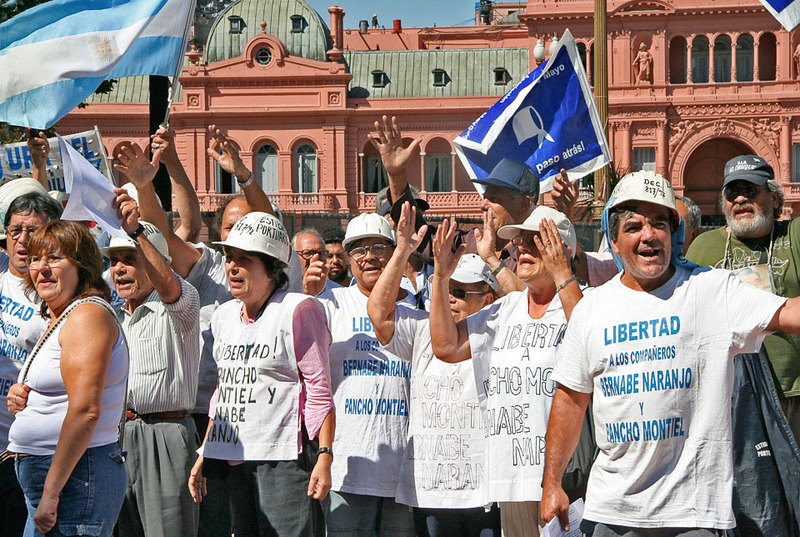 Every day protesters demonstrate in front of the Casa Rosada. A group of very intense musicians playing at the San Telmo market. 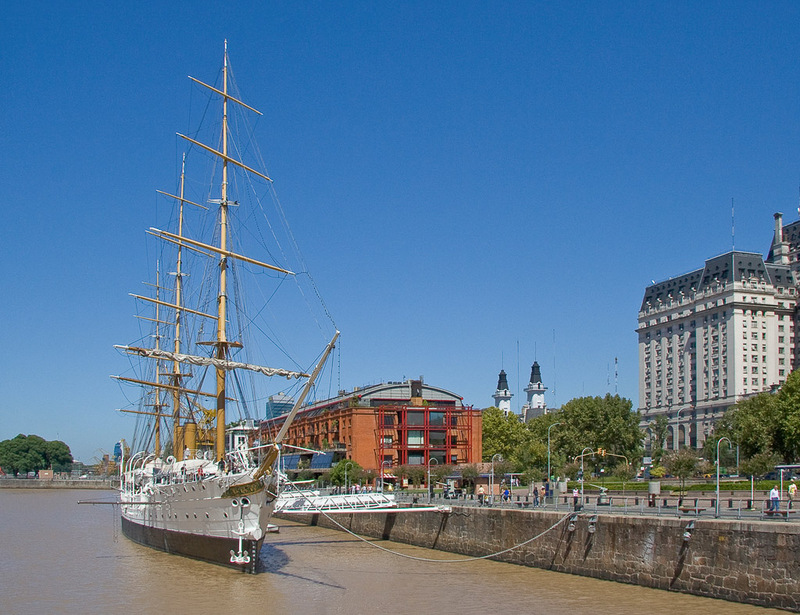 The old port in Buenos Aires is now an upscale neighborhood with restaurants, shops and tourist attractions. 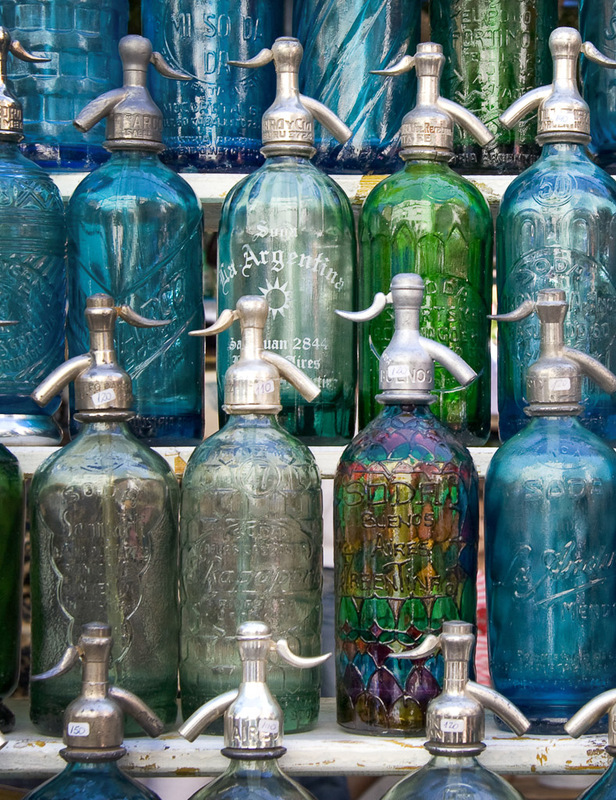 Colorful bottles on display at the Buenos Aires Sunday Market.